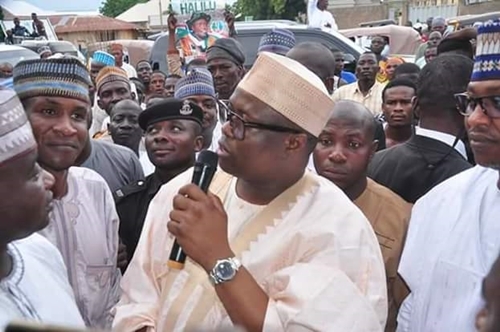 The first lady’s Aisha Buhari’s younger brother, Mahmoud Halilu Ahmed, has formally mounted a challenge for state governor under the APC platform. 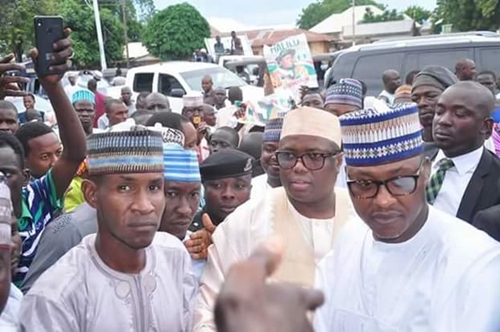 At a formal declaration of his gubernatorial ambition in Yola on Monday, Mahmud, popularly known as Modi, accused Governor Muhammadu Jibrilla of dishonesty and neglect of all sectors. He decried the suffering to which the electorate in the state were subjected to, due to lack of leadership capacity and insincerity of the present administration. If elected, he promised to work with party executives and other stakeholders to correct the ills. 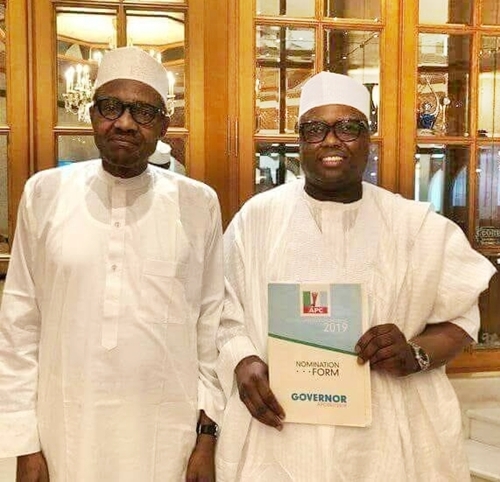 Meanwhile, Halilu’s picture holding his party nomination form with President Muhammadu Buhari sent ripples, with many people accusing President Muhammadu Buhari of bias. “The president ought to be a father to all aspirants. He should take photos with all other aspirants”, a party member, who did not want his name published, said yesterday. In his remark, the state party chairman, Ibrahim Bilal, assured all aspirants of justice and fair play at the primaries. Dr. Mahmood Halilu was accompanied by the Dujima Adamawa Alh. Musa Halilu And other dignitaries of his campaign team, and they are well received by the thousand supporters. 2019 Election go hot ooo!! !